Are you familiar with Chios? Tell others your opinion. Write a review. 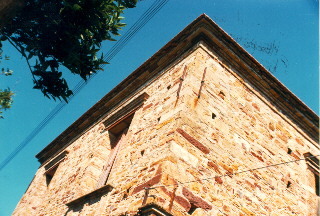 Chios. This Aegean island has connected its name with a unique aroma. That of mastic. The tears of lentisk, as people call the natural gym resin that comes out of this tree, is the trademark of Chios. Even though this sweet-scented Aegean island owes its fame to mastic, it gains visitors with its unseen natural beauties and architecture that takes them back to past times. The coexistence of yesterday with today, of old with new and the eagerness of every traveler to sense everything in the ultimate level, make Chios the ideal destination for those seeking for an adventurous holiday to heighten senses. Chios, the island that wakes senses up, is located in east Aegean sea, between Samos and Mytilene. 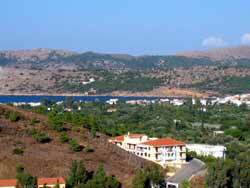 Right across Chios and very close to it, are the shores of Minor Asia. 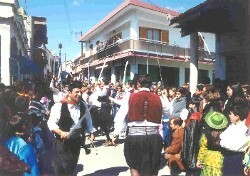 Chios, along with Inousses and Psara, constitute the prefecture of Chios. It is the fifth in size island of Greece. It has an extend of 842 sq.km and it is considered a hilly island. 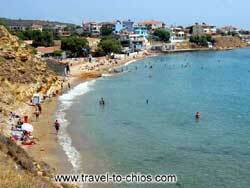 Chios impresses visitors with its endless lacy shores. Touring around the island can be really intriguing, as it passes you through green pine forests, endless pieces of land with mastic trees and running waters. And if sea saltiness brings you to the coast, be ready to succumb in the temptation of Aegean sirens. The rare beauty you will see before your eyes will stay forever in your mind. 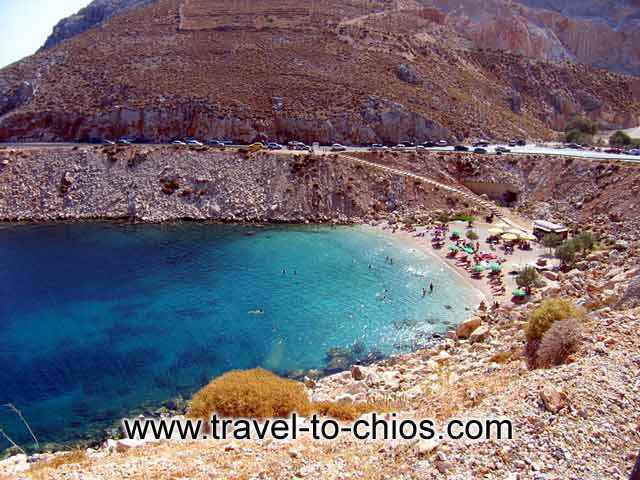 Golden shores, colorful pebbles, strange-shape rocks and deep blue sea compose this Aegean paradise. That is one part of Chios, that reveals the natural beauties of this land. But acquatance with the island hides surprises for every guest. The famous Mastihohoria, distinguish for their architecture as and the medieval villages, that fill visitors with unique pictures. Apart from the enchanting capital, visit the town of Vrontados, Volisso, Kardamyla, Thymiana, Mesta, Pyrgi, Lagada, the villages of Kambos and let yourselves in the beauty of Chios tradition. Worthvisiting monuments all around the island reveal the island's history. 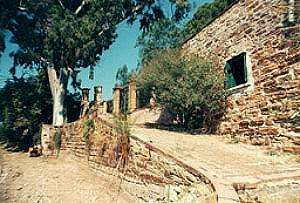 The Castle of Chios, the Archaeological and Byzantine museum, the Library of Korais, etc, will attract your attention. Most likely, Chios, is the home land of Homer. It was the place where, according to historic sources, Christopher Columbus, was provisioned with the maps that lead him to America. Today, it is a famous travel destination that offers visitors a variety of options. You can reach this sweet-scented island by plane or ferry. Enjoy your stay in one of the hotels or rooms to let all around the island.